This is Irelia‘s motto. She’s a ferocious defender of Ionia, well-trained in the ancient dances of her people, skillfully used for war. Her graceful movement turns into a dance of Death as she unleashes an array of Blades against her unlucky enemies. Irelia’s Passive ability, Ionian Fervor, allows her to add bonus magic damage to her attacks; each time she hits an enemy she gets a stack of Fervor and when she reaches max stacks she gains a bonus to attack speed and to damage against shields. Her deadly dance usually starts with Flawless Duet which slashes enemies and leaves them stunned and marked (Champions and large monsters), followed by Bladesurge where Irelia dashes towards her opponents, damaging them and in the same time healing herself. If her adversaries try to initiate a group attack, Irelia can use Bladesurge which sends forth her blades in a straight line. if they hit a Champion, they radiate outward, creating a barrier, stunning and disarming opponents for a short period of time. Additionally, if a small moment of catching her breath is needed, she can initiate her Defiant Dance which will give her damage reduction for a small amount of time. Immediately after that small pause she can start her dance from the beginning! 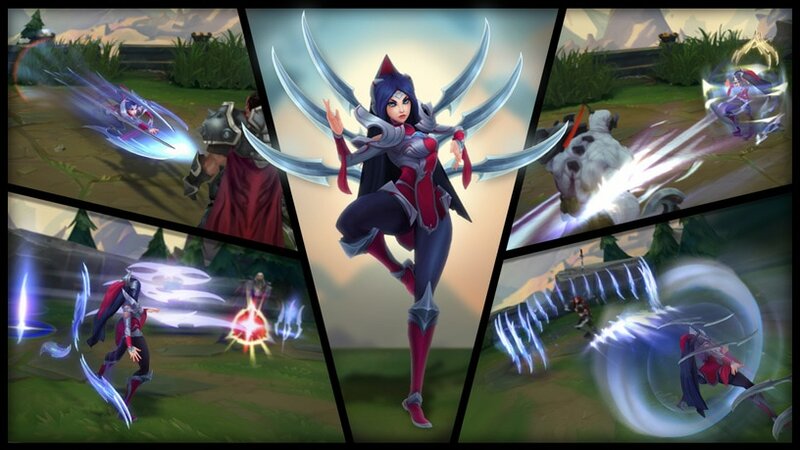 It would be good to remember that Irelia is a Champion best suited to a hit-and-run strategy; with her high mobility and her abilities like Flawless Duet and Defiant Dance, she can strike with lightning speed and leave her opponents stunned and confused! League of Legends: Get ready for Rift Rivals!